Max's INTRABOOST was created to allow you to make the most from your workouts by Keeping you Hydrated and allowing your body to recover quicker! 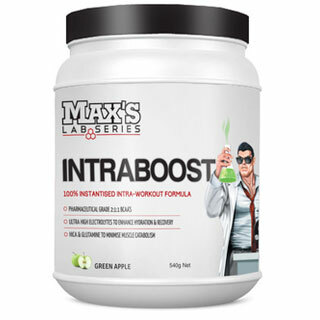 Buy Max's IntraBoost from Fitness Market and save! With our efficient dispatching and quick delivery throughout Australia, Max's IntraBoost can be yours sooner. Below you can rate and add reviews for Max's IntraBoost.